Ross Weber shot this gigantic 191 inch Wisconsin buck near the Slinger/West Bend, Wisconsin area on October 13. Most bucks in Wisconsin have gotten their pictures taken and the hunters know that they’re around, but every once in a while you get a story like this one where a buck avoids people and cameras and is a big, big surprise. 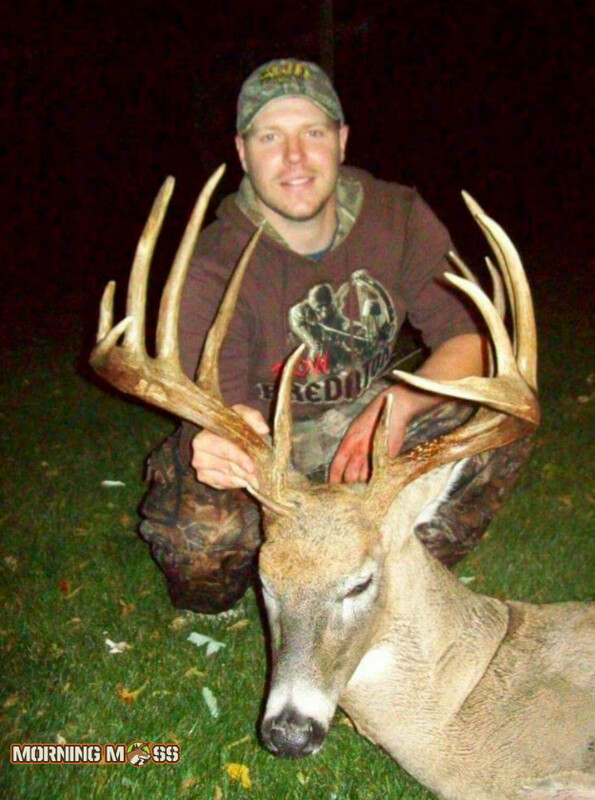 Ross Weber encountered a buck like this on the evening of October 13, 2015 near the Slinger/West Bend Wisconsin area and it turned out to be the hunt of a lifetime. The buck had a 17 3/8 inch spread and sported a 12 point main frame and 14 points total. You can read Ross’ full story on the buck here on the Legendary Whitetails blog, but what you need to know is this hunter was able to make a shot at 40 yards on an awesome buck. Ross saw the buck five minutes before he shot it and had to endure trying not to stare at it’s rack while he was waiting for the perfect shot. That eventually came and the arrow rang true. While the shot turned out to be a little forward, Ross tracked the deer over 100 yards where he found it with his friend in a marsh. The buck scored 183 7/8 as a gross green score and the net is 167 6/8 if scored as a typical. 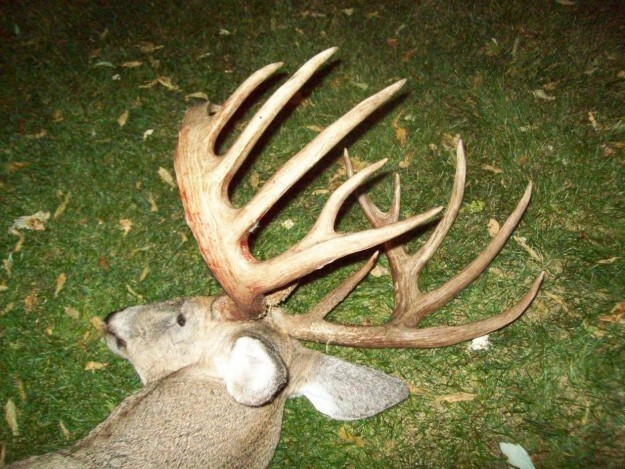 If it were scored as a non-typical, the buck would score 191 2/8 inches. The inside spread is 17 3/8 inches and the deer is a mainframe 12 pointer with two additional points. The buck weighed 175 pounds after it was dressed. Congratulations to Ross Weber on his fantastic buck. Please check out his photos and the full store on the Deer Gear website. Have you shot the buck of a lifetime? Submit it to us and win our MorningMoss big buck contest.